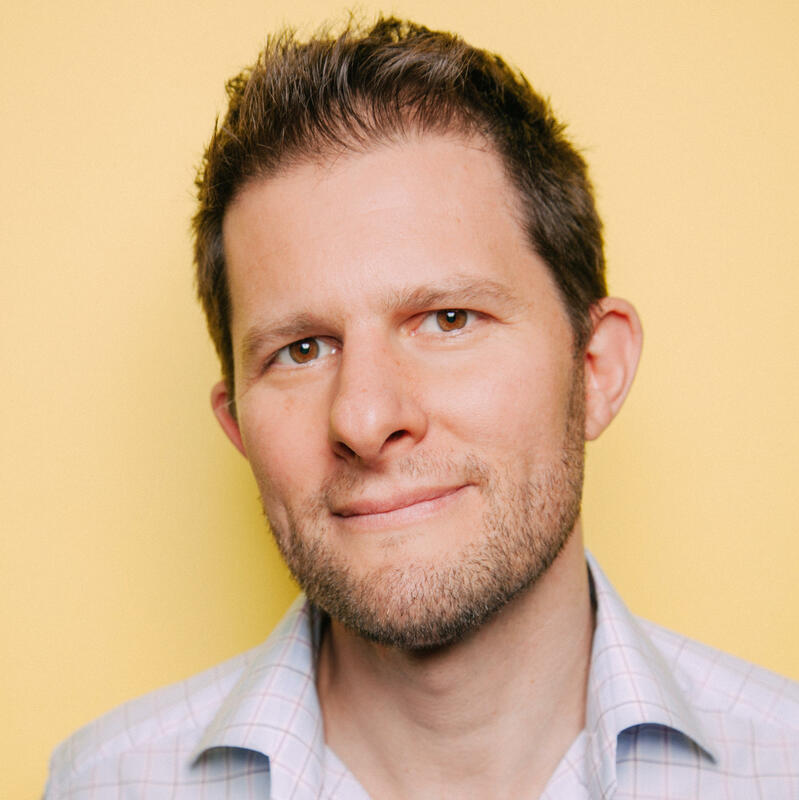 Gregory Warner is the host of NPR's Rough Translation, an international podcast that explores the universal experience of trying to navigate a different culture—or set of rules—and figuring out where you stand, often resulting in a collision of cultures. As host of Rough Translation, Warner draws on his previous role as NPR's East Africa Correspondent. His reports there covered the diverse issues and voices of a region that experienced unparalleled economic growth as well as a rising threat of global terrorism. Before joining NPR, Warner was a senior reporter for American Public Media's Marketplace, where he endeavored to make the economics of American health care vivid and engaging. He's used puppets to illustrate the effects of Internet diagnoses on the doctor-patient relationship. He composed a Suessian cartoon to explain why health care job growth policies can increase the national debt. His musical journey into the shadow world of medical coding won the 2012 Best News Feature award from the Third Coast International Audio Festival. Prior to Marketplace, Warner was a freelance radio producer reporting from conflict zones around the world. He climbed mountains with smugglers in Pakistan for This American Life, descended into illegal mineshafts in the Democratic Republic of Congo for Marketplace's "Working" series, and lugged his accordion across Afghanistan on the trail of the "Afghan Elvis" for Radiolab. Warner's radio and multimedia work has won a Peabody Award, as well as awards from Edward R. Murrow, New York Festivals, AP, PRNDI, and a Sigma Delta Chi award from the Society of Professional Journalists. He has twice won Best News Feature from the Third Coast International Audio Festival in 2009 and 2012. Warner earned his degree in English at Yale University. He is conversant in Arabic. Editor's note: This post is an update of an earlier story, from the Invisibilia podcast and program, which is broadcast on participating public radio stations. In what countries are women and men on the most equal footing? If you're in South Sudan and something big happens in your life — you get married, you buy property or pay a penalty for a crime — cows are most likely involved. Cows are currency and credit card and bank account rolled into one. 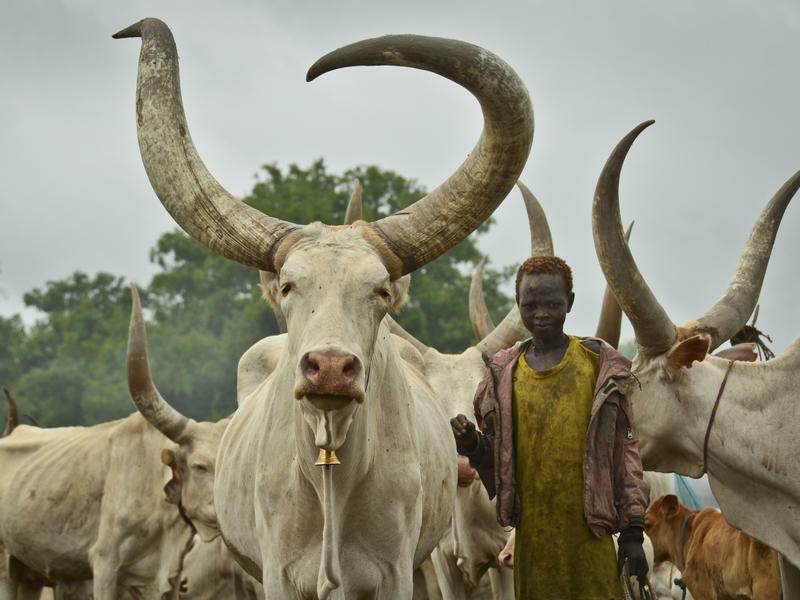 In South Sudan, banks can go bankrupt — cows are more reliable. At least that's how it used to be. This story comes from NPR's Rough Translation podcast, which explores how ideas we wrestle with in the U.S. are being discussed in the rest of the world. Sophia Lierenfeld didn't set out to give dating advice to Syrian refugees. When NPR reporter Gregory Warner arrives in a town on the Ukrainian front lines, residents try to keep their distance. 'Don't come here,' they say. 'When journalists come, the bombs fall." 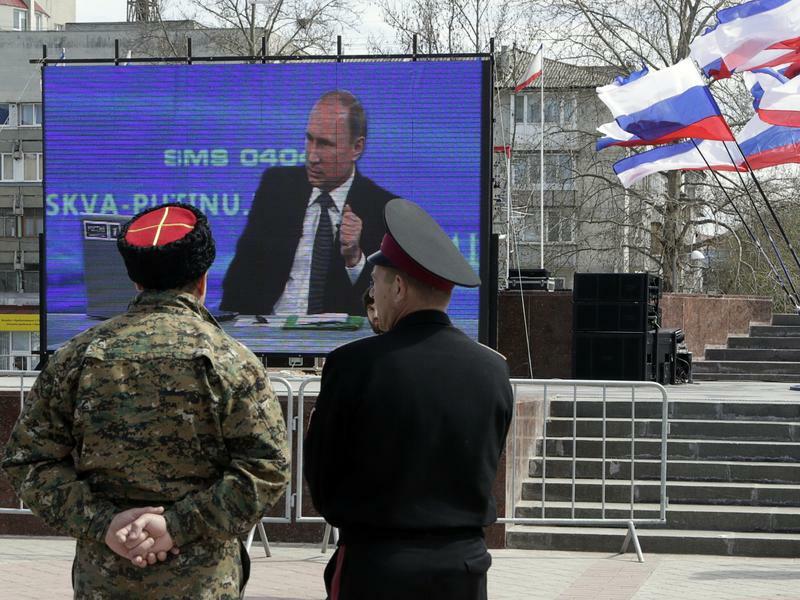 How did journalists come to be seen as instruments of war? 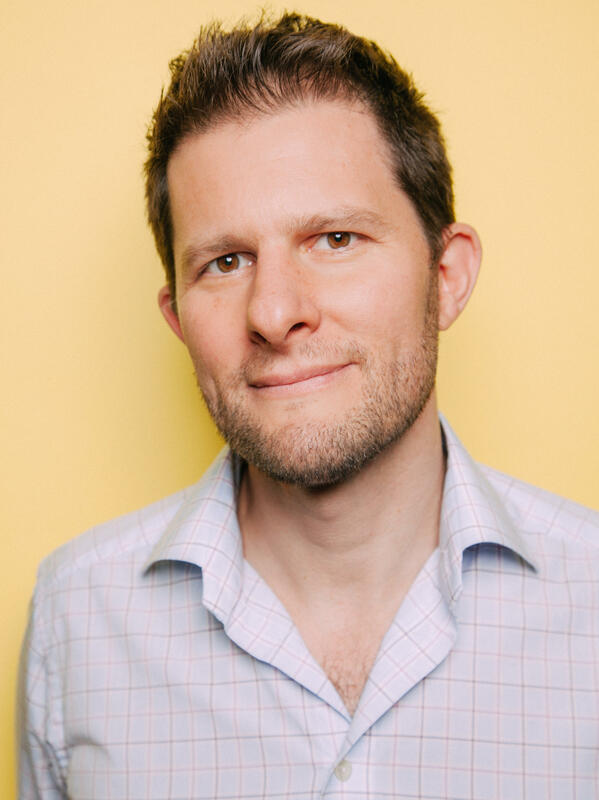 Michael Sharp believed in the power of persuasion. 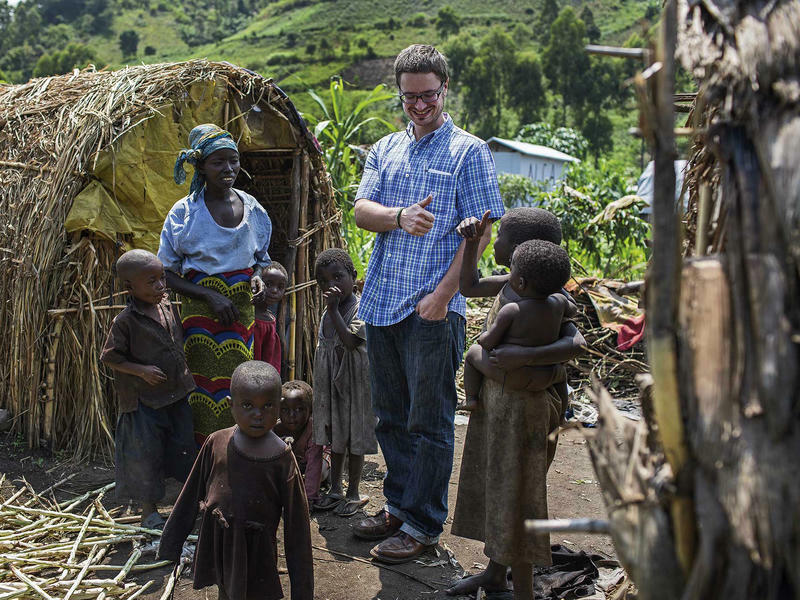 The 34-year-old Kansan with the round face and a penchant for plaid shirts would walk, unarmed, deep into rebel-held territory in the Democratic Republic of Congo, sit in the shade of banana trees with rebels and exchange stories. Inevitably, those stories would turn to the past. "Rebels love talking about the past," Michael once told me. 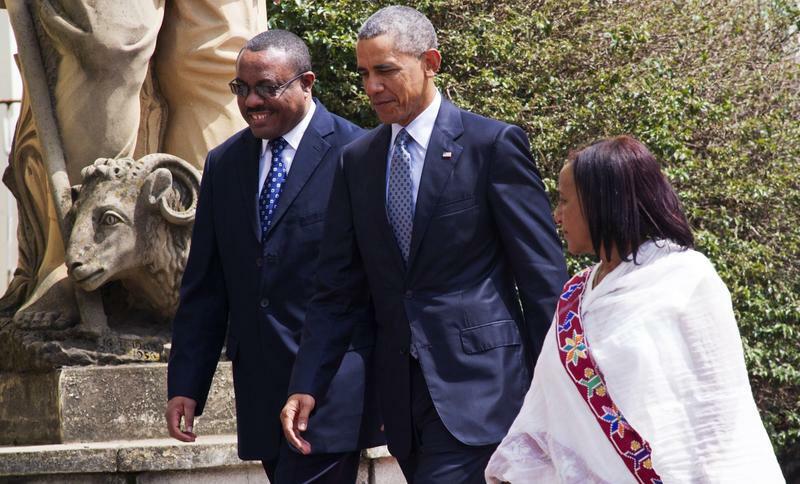 Everyone knew President Obama would say something about gay rights when he visited Kenya last summer. 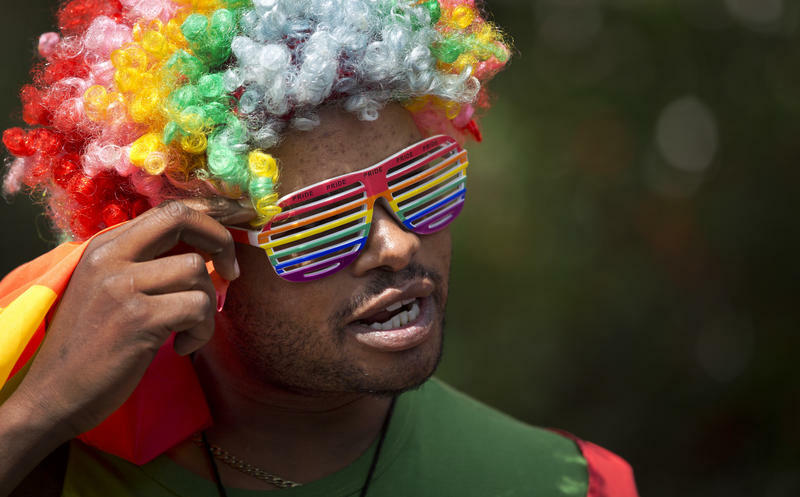 Many American activists were pressing him to publicly condemn Kenya's colonial-era law making homosexuality a crime. Editor's note: This post is an adaptation of the latest episode of the Invisibilia podcast and program, which is broadcast on participating public radio stations. 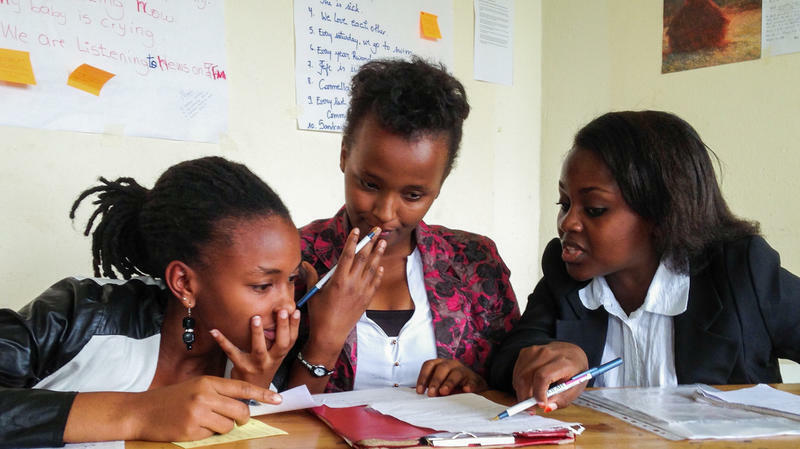 In high school, Mireille Umutoni aspired to be a club president rather than just secretary. And why not? She lives in a country where women seem to face no barriers, no discrimination. In the parliament, for example, women hold more than half the seats. No country has a better record than that. What's red and gold and hailed by most economists? The new African Union passport, unveiled this week at the African Union Summit in Kigali, Rwanda, promises a solution to a major drag on African trade: the red tape that makes it harder for African businesspeople, tourists and workers to travel around their own continent. More than half of the 54 African countries require entry visas for other Africans, according to the Africa Visa Openness Report. 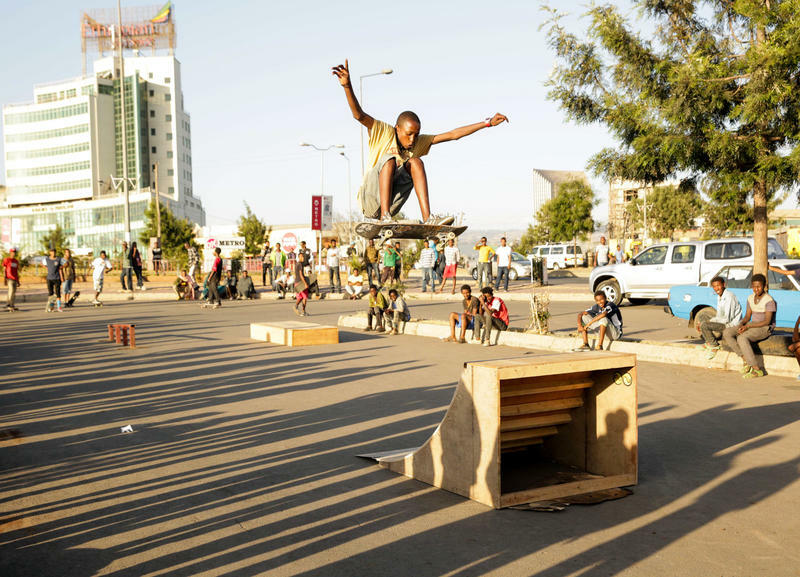 In 2010, 12-year-old Nathan Eyasu became one of the first skateboarders in Ethiopia. He bought an old board off a guy on the street for a dollar, learned some tricks off YouTube, and proceeded to shock his neighbors like Marty McFly in Back to The Future. "They'd be like, 'Is there a magnet in there?' " Eyasu says, laughing. "Nobody knew what skateboarding is." The Oromo Federalist Congress, an opposition party in Ethiopia, represents the largest ethnic group in the country, the Oromo. Yet its office in the capital Addis Ababa is virtually deserted, with chairs stacked up on tables. A chessboard with bottle caps as pieces is one of the few signs of human habitation. In a side office, the party's chairman, Merera Gudina, explains why the place is so empty: Almost everyone has gone to prison. Let's move on now to talk about a refugee crisis. And this is one you may not have heard about. 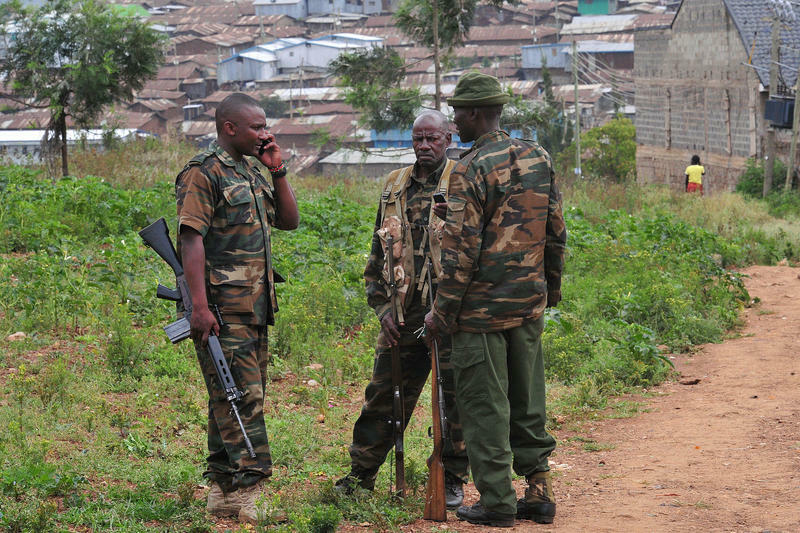 Kenya has announced plans to close the largest refugee camp in the world. And if that happens, we may see one of the largest forced migrations in decades. To burn or not to burn? That is the question facing African countries in their fight against the multimillion-dollar illegal ivory trade. Kenya, which introduced the world to burning ivory in 1989, still thinks it's a good idea. 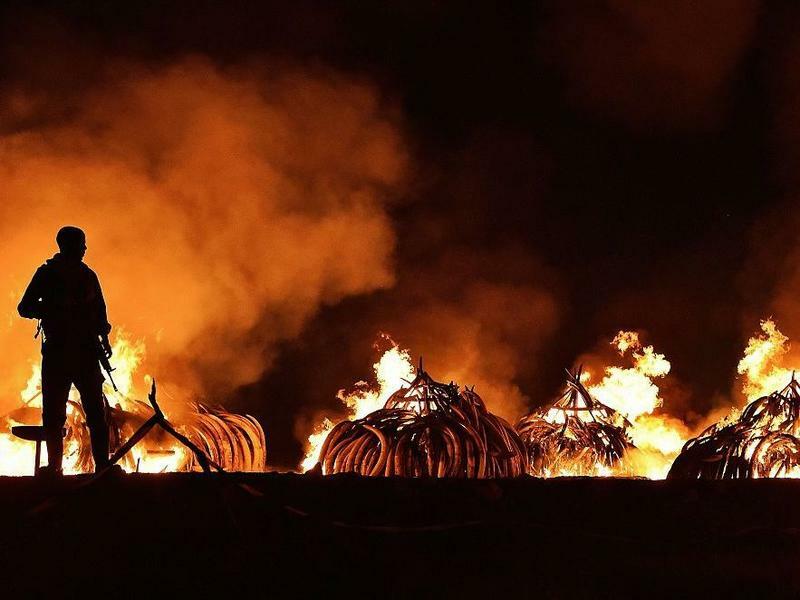 On Saturday morning, it hosted the most spectacular burn event yet: The tusks of nearly 7,000 elephants — 105 metric tons' worth — were set alight in 11 separate pyres in Nairobi's National Park. A new study finds that chatty monkeys in Ethiopia may offer clues into how the power of speech evolved in humans. NPR's Gregory Warner reports the reason has to do with something all of us do every day without noticing. There's a stealthy nighttime battle taking place on the African savannah. It's a place where poachers stalk their prey — the animals that graze there. 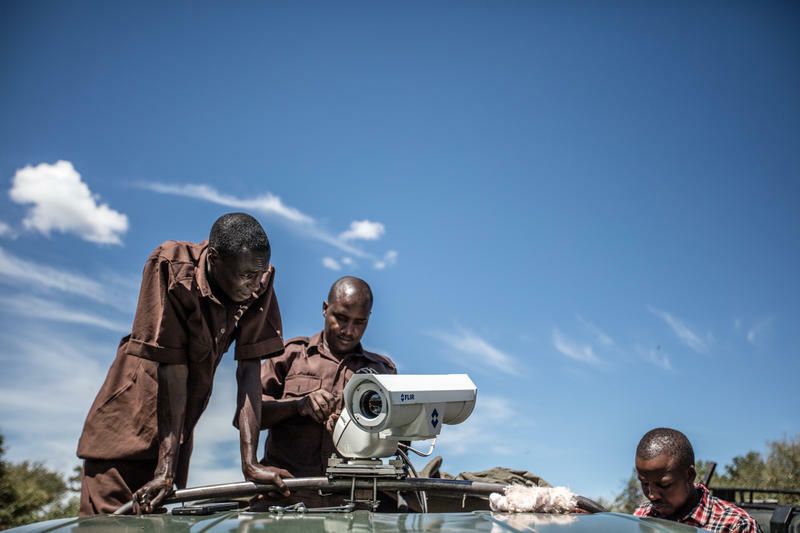 And they, the poachers, are in turn stalked by rangers trying to bring them in. Now those rangers are trying out some new equipment using the kind of technology pioneered by the military. Employers want to hire the best and the brightest to get the job done. 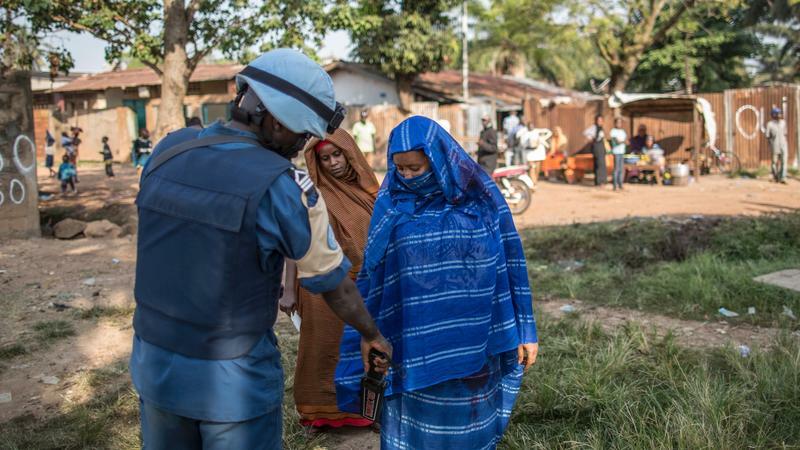 In Africa, terrorist groups are actively recruiting well-educated boys and girls. The groups want recruits who can be leaders, who know how to give orders, who can boost the brand on social media. 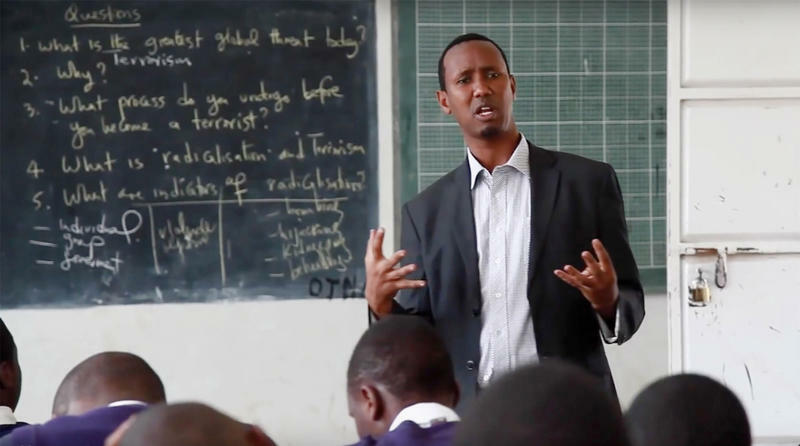 One Kenyan teacher is fighting back — and his efforts have made him a candidate for the Varkey Foundation Global Teacher Prize, which comes with a $1 million award. It's known as the only national park in the world with a skyscraper skyline. Nairobi National Park, in the Kenyan capital, boasts elephants, giraffe, rhinos and lions roaming freely across a savannah a mere 4-mile drive from downtown. But last night, the proximity of urban and natural environments got a bit too close. It may not sound like a reward, being a soldier chosen to fight as a peacekeeper in war-torn Somalia or Central African Republic. But for soldiers from one of the poorest countries in the world, Burundi, it's seen as an opportunity of a lifetime. Soldiers angle to wear the blue helmet — and to pull an international salary and other benefits, covered by the United Nations.